» Hotkeys to Open Folders in Thunar? Hotkeys to Open Folders in Thunar? I don't like using the side panel. I'd like to assign hotkeys to open oft-used folders within an existing instance of Thunar. Would something involving application shortcuts starting with "exo-open --launch" work? Re: Hotkeys to Open Folders in Thunar? In Settings > Appearance > Configuration tab > Menus and buttons > Activate editable accelerators. In Thunar, create bookmarks in the side panel for the desired folders, then in the Thunar menu open Go, and as you hover over each bookmark entry, press your desired key combination, which you'll see then get set. After this, you can press that key combination to go to that folder, even with the side panel hidden. You can reset any of these shortcuts hovering again over the menu option and pressing backspace. edit: wording may be different, as I'm translating from spanish... Again, what was the way of launching an app temporarily in another language? To add to @alcornoqui's answer, gtk3 removed the editable accelerators functionality. If you are using the GTK3 version of thunar, you need to manually edit the ~/.config/Thunar/accels.scm file and add the shortcut to every "(gtk_accel_path "<Actions>/ThunarBookmarks/....." entry. There will be some trial and error to figure out which entry refers to which menu item as the entries appear as hash computations of some sort. Thanks for the help! Fortunately my version works with alcornoqui's directions. 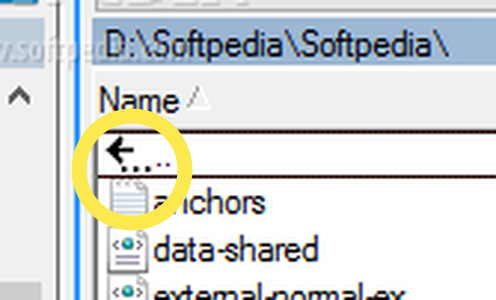 To avoid starting another thread, do you happen to know if it's possible to have a previous folder button inside directories, like you have with Multi-Commander? The one in Multi-Commander goes to the higher directory in the hierarchy and not necessarily the last folder visited, which I like. The back button on Thunar doesn't always take me to the higher directory to the one which I'm in. Barring that can the back button on Thunar be modified in the way specified? The back button goes to the previous directory, as does Alt+left (Alt+right would do the opposite). Alt+up goes to the parent directory. All these are configurable. Try them and ask any follow up questions, in case I didn't get it right. I've been using exo-open for a collection of web-URLs that i routinely open using my panels' launch buttons. That way I don't have to bother with keyboard shortcuts (or any conflicting ones).